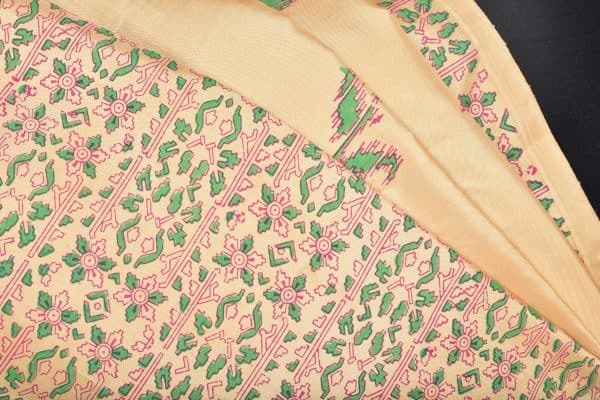 Beige pink and green multicoloured saree with pink on the pleats. 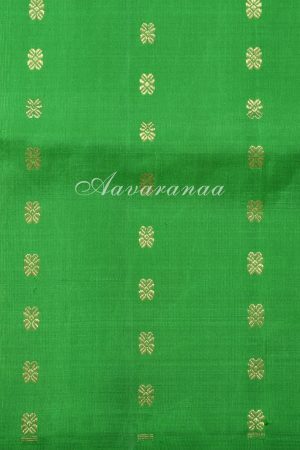 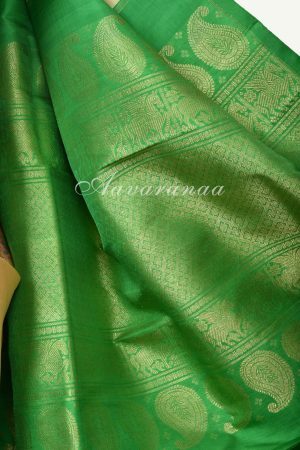 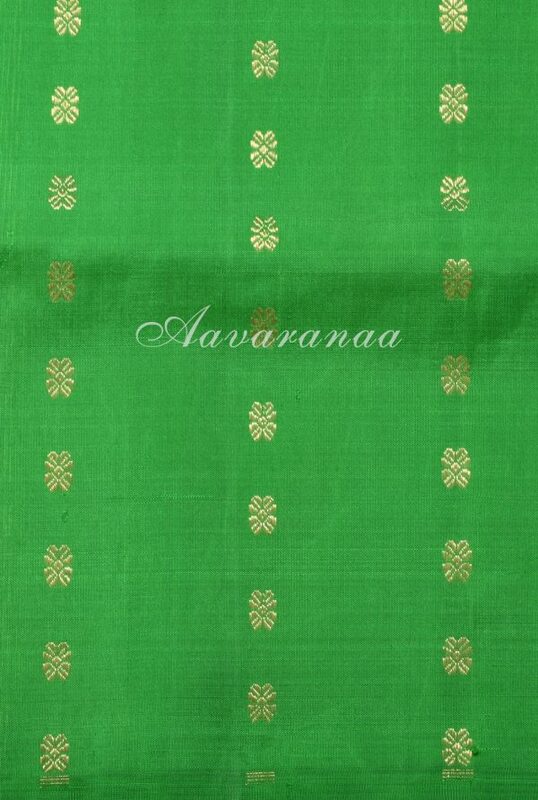 The pink portion has tiny zari buttis and the pallu is green with traditional zari designs. 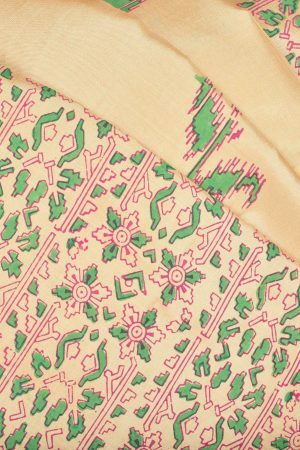 The beige is block printed using ikat patterns.